After Phyllis Benning, 66, suffered several strokes that left her unable to walk, she thought she might spend the rest of her life in a nursing home. She was able return to her home—and walk again—with the help of a Chattanooga, Tennessee-based Program of All-Inclusive Care for the Elderly (PACE®) that provided access to safe, comprehensive, and coordinated medical and social services in her community. Stories like Benning’s illustrate the opportunity and benefit of high-quality, affordable health and support services that can help elders successfully age in place. These services, which help older adults like Benning maintain their independence, dignity, and quality of life, are most critical for individuals who are aging with multiple chronic conditions or who need support with daily life activities. PACE® is the gold standard of person-centered, integrated care for elders who need support and services to remain in their homes. The program is a Medicare benefit that serves adults age 55 and older who are eligible to receive nursing home care but are living in the community. Most participants are also eligible for Medicaid. However, only an estimated two percent of eligible elders are enrolled in PACE. How can we expand this proven model of person-centered, integrated care to more individuals? PACE provides health care, behavioral health services, social services, transportation, meals and activities, and end-of-life care, all through the local PACE center. Together, the care and services enable even the frailest and most vulnerable older adults remain safely in the community, avoiding unwanted nursing home placement. The seamless care is provided by the PACE interdisciplinary team which includes physicians, nurses, social workers, and physical and occupational therapists. Since the first PACE model was developed in the early 1970s, the program has expanded to serve more than 45,000 elders in 253 PACE centers across 31 states. The PACE model of care is effective. The program has demonstrated reduced rates of emergency room visits, unnecessary hospital admissions and long-term nursing home placements. According to the National PACE Association, over 95% of current participants successfully remain in their homes and communities. Participants have better healthcare outcomes and lower costs than elders with similar acuity or level of need that are not enrolled in a PACE program. Participants are also more likely to live longer, have fewer unmet needs, and enjoy a higher quality of life. West Health and The John A. Hartford Foundation are funding an exciting initiative—PACE 2.0—to expand the reach of PACE programs nationally. Led by the National PACE Association, the PACE 2.0 Project, is developing strategies to increase both the number of participants at each site as well as expand to new geographic areas and populations. The goal of PACE 2.0 is to increase the number of people served by PACE organizations to 200,000 by 2028. Key areas of focus to achieve this growth will include growing the population exponentially, sharing models for expedited start-up and growth, and expanding PACE beyond those who are 55 and older who require a nursing home level of care. This may include individuals who are younger and nursing home eligible or others who are at risk for nursing home placement, such as people with profound developmental disabilities and those experiencing the ravages of early onset Alzheimer’s disease. Through the PACE 2.0 project, we will assess state policies that foster or constrain growth and identify workforce requirements to support future growth. To support program growth, the project is also developing a tactical toolkit and resources for PACE organizations. Looking ahead, we hope existing and new PACE programs can fulfill the unmet needs of elders and other vulnerable individuals in the community who need complex care but wish to remain at home. Spreading and scaling the PACE model can and will help. For Benning, the dream to be able to return home following her strokes motivated her recovery. “All I needed was a chance to just stay in my house, and that’s what PACE allowed me to do,” she said. The time is now to spread the PACE model. Let’s pick up the PACE! For more information about PACE 2.0 and additional participant testimonials, visit the PACE 2.0 website. Amy Herr, MHS, PMP, is the Director of Health Policy for the nonprofit, nonpartisan West Health Policy Center. Solely funded by philanthropists Gary and Mary West, West Health is a family of nonprofit and nonpartisan organizations including the Gary and Mary West Health Institute and Gary and Mary West Foundation in San Diego, and the Gary and Mary West Health Policy Center in Washington, D.C. West Health is dedicated to lowering healthcare costs and enabling elders to successfully age in place with access to high-quality, affordable health and support services that preserve and protect their dignity, quality of life and independence. For more information, visit www.westhealth.org and follow @westhealth. Amy Berman, RN, LHD, FAAN, is Senior Program Officer for The John A. Hartford Foundation. Based in New York City, The John A. Hartford Foundation is a private, nonpartisan, national philanthropy dedicated to improving the care of older adults. 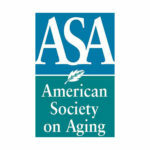 For more than three decades, the organization has been the leader in building a field of experts in aging and testing and replicating innovative approaches to care. The Foundation has three areas of emphasis: creating age-friendly health systems, supporting family caregivers, and improving serious illness and end-of-life care. Working with its grantees, the Foundation strives to change the status quo and create a society where older adults can continue their vital contributions. For more information, visit johnahartford.org and follow @johnahartford.